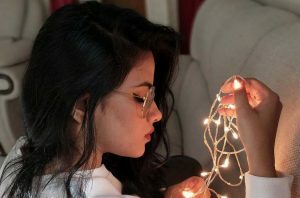 This post contains PR Samples* and Affiliate* links. One of the wisest decisions I ever made was to invest in good makeup brushes even before I began building my makeup collection. While I do want to try out various brands that people talk about just for the sake of it, I do not really feel the need to buy a whole new set of makeup brushes because my Sigma Beauty ones keep me covered. If you are somebody who is just starting out and want to invest in good quality brushes, I would suggest you get a Sigma Beauty Essential Kit because this is what I got when I started out and it pretty much has all the essentials in travel size version. The only brush I bought separately is my all time favourite F84 Angled Kabuki brush for a smooth foundation coverage. 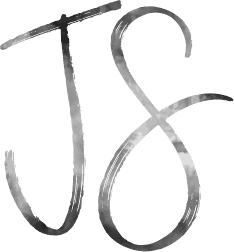 Now I am a Sigma Beauty affiliate so I do have some brushes that were sent to me and I love them just as much. 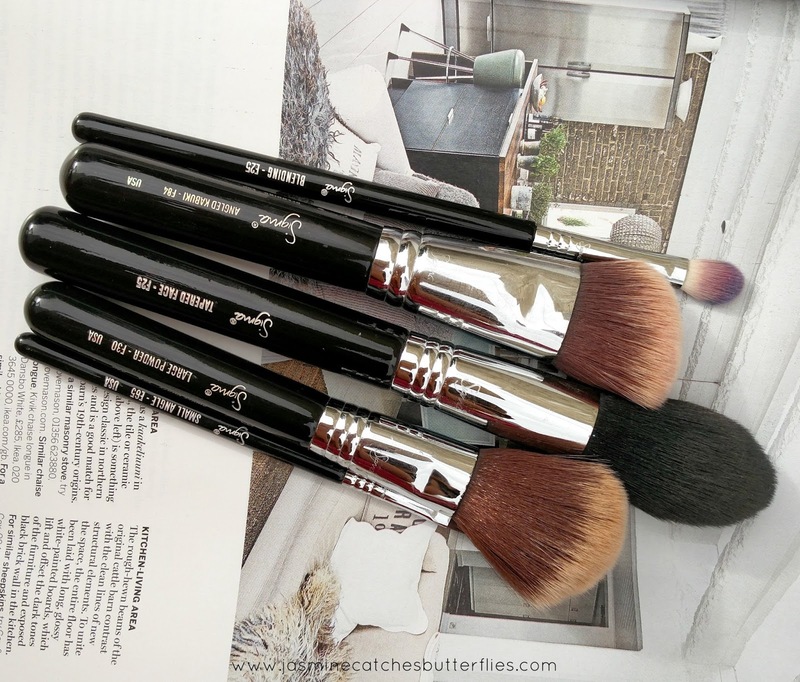 In today’s post, I am sharing with you guys five of my holy grail, most used brushes from Sigma, and if you want to pick up key brushes from the brand, then check these out. Obviously, I wouldn’t say that this is just it but I have been reaching out for these a lot lately so I thought I would share. This guy steals the crown, over and over. 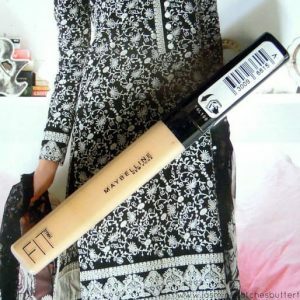 I have used this brush for the longest of time to buff in my foundation and then I have even used it for packing on powder to bake my face, but the angle on it is basically for contouring so I love this brush for cream contouring as well. 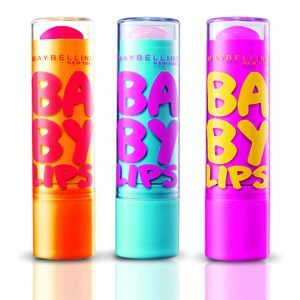 It is very versatile, gives you a great colour payoff and blends everything seamlessly. I reckon any of Sigma Beauty kabuki brushes are just as good so if you do not want this angled one then you can always get the infamous F80 Flat Top Kabuki. You can read my full review on this brush for more details. This is the most basic brush that everybody must have in their stash. I need this brush without fail with every single makeup application for setting my face and toning down blush or contour if I accidentally go overboard. 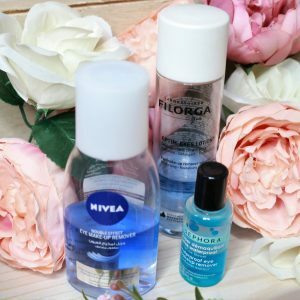 I have used a lot of powder brushes in the past but I stick to this because it is so soft and even though it is not dense like a kabuki, it does not prick my face. 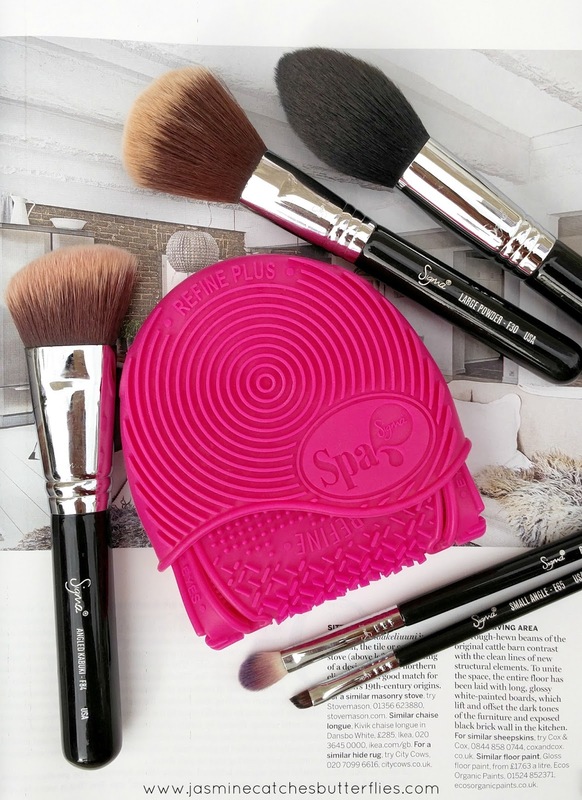 This brush is huge but it is perfect for depositing a subtle amount of pigment on your face when it comes to blushes. 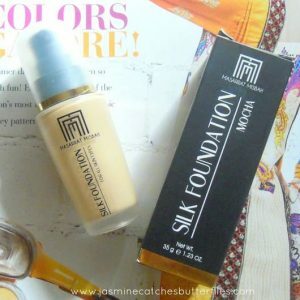 It even works great for setting under eye concealer and I also use it for highlighting my cheeks for a subtle glow but you can always go in with more for amping up your look. 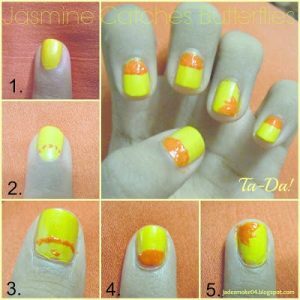 This brush gives me a lot of control with highly pigmented products so if you have similar concerns, check this out. 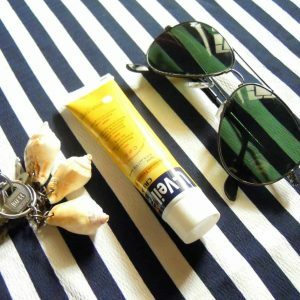 Read my full review for more details. There is a whole bunch of amazing Sigma eye brushes but this brush is a two in one for me. It is dense enough to pick and pack pigment but also fluffy enough to blend it nicely. This is a full-size brush unlike the ones from my travel kit so I like its long handle as it allows me to be more gentle with my eyeshadow application. The most common question that I get asked is ‘how do you do your wing?‘ and honestly, I got into Sigma brushes because of the kabuki and this little fella. I expected this brush to be stiff when I got it and the bristles on it made me unsure if I would like it but since it is a little flexible, it makes liner application a lot smoother and this is all I use with my gel liner. Now I do want to point out that F84, F30 and E65 that I own are from Sigmax range so they have extra soft bristles made up of HD filaments which are synthetic. I have had them for over three years, they are still as good as new and I have experienced no shedding whatsoever. 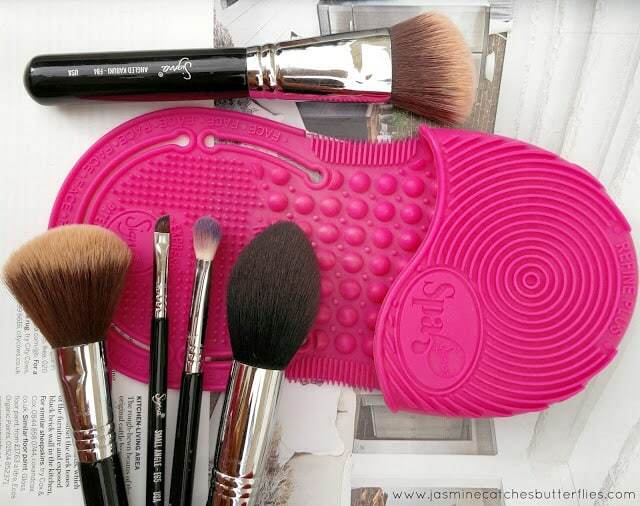 To keep my brushes clean I use Sigma Beauty Spa Express Brush Cleaning Glove*. It is just very handy for a quick wash and it makes sure all the built up gunk completely gets out. 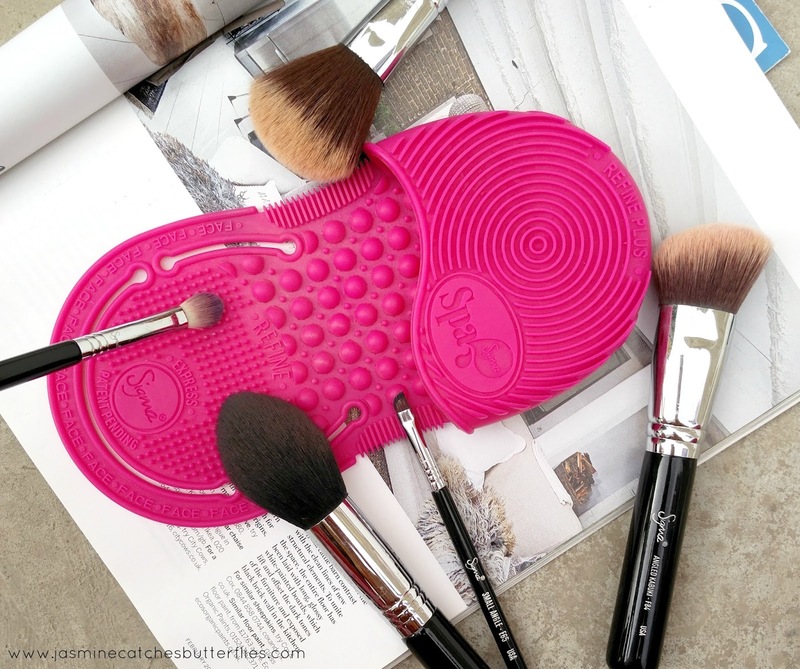 Read my post on Washing and Maintenance of Makeup Brushes for details. 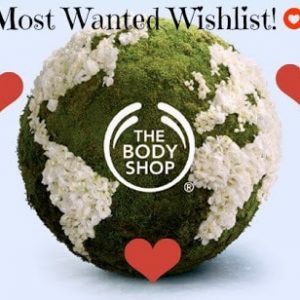 The Body Shop Most Wanted Wishlist!